Most days are good days for me. Every once in a while I’ll feel a bit more intense and may have a tendency to behave in ways that are out of character for me. Recently I observed a situation that reminded me of how dangerous it can be to let my guard down in this way. Allow me to set the stage for this story. We were vacationing with friends and enjoying breakfast in a small outdoor café. A mid-60s couple was sitting at a nearby table. The woman was seated next to a small ledge and unwittingly shifted her chair and toppled over backwards. Immediately my friend who was closest, jumped up and rushed to her assistance. With her glasses askew and an embarrassed look on her face, she got back on her feet with my friend’s help. Fortunately she was not hurt. The focus of this story is not on the woman’s accident but on the husband and how he reacted. He just sat there. While my friend came to the rescue, the husband just sat in his seat drinking his coffee like nothing had happened. At one point he joked to his wife that she “looked like a circus clown.” Once she regained her composure, the woman left the café – smiling but humiliated. After a moment the husband looked at us and said half in jest, “Well, you sure made me look bad.” And then he left. Now here’s the most instructive part of this episode. Once the husband was gone the café patrons were abuzz and angry. People couldn’t believe the husband had treated his wife this way. As she cleared the table, the server exclaimed, “He just sat there. I can’t believe he didn’t get up to help her!” I heard references to “jerk,” and “a**hole,” just to name a few. This man was being judged by a jury of his peers and he was found guilty. He left a lasting impression on everyone in that restaurant and it was 100% negative. Just a single action. For all we know, this man might be one of the finest, most generous and thoughtful human beings on the planet. He might have just donated $100 million to build a new wing on the local hospital, and named it in honor of his wife. But at that moment in time, and without any other context, he was an ogre to his jury and will forever remain frozen in that image. Most of us care about how others see us. We want to be viewed in a favorable light or at worst, in a neutral manner. The husband in this story obviously had enough self-awareness to realize he was wrong as evidenced by his statement that, “You made me look bad.” Unfortunately that comment probably sealed his fate for the onlookers. He chose to blame my friend for how others saw him rather than taking responsibility for his own poor behavior. I’d bet that if he apologized to his wife in the restaurant and admitted that he had a momentary lapse in judgment, the impression he left would have been different. We all have momentary lapses in our behavior. But it’s important to take corrective action to repair the damage as quickly as possible. 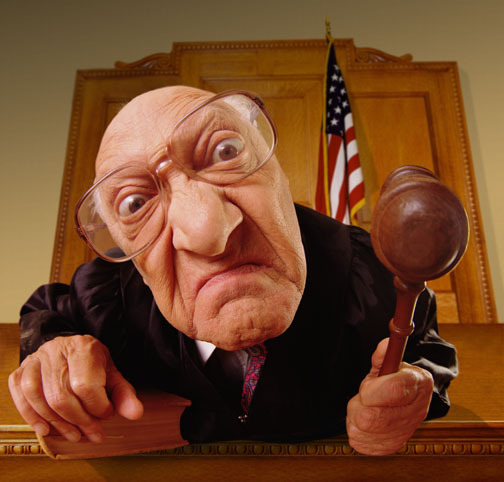 Failure to do so may result in an extremely harsh and lasting judgment by a jury of our peers. This entry was posted in Entrepreneurship and tagged behavior, Entrepreneurial Spirit, Entrepreneurs, Entrepreneurship, first impressions, judgment, perceptions by anentrepreneurswords. Bookmark the permalink.